This salad is suitable for vegetarians. Grate the beetroot and red cabbage into a large bowl, then add the red onions. Season with a good pinch of sugar and salt (about 5g of each). Leave to the side to cure for about 10 minutes, although longer is better. In a small bowl, zest (grate) the green part of the lime on the smallest side of the grater. Add the juice, oil and roughly chopped coriander, keeping some back to garnish the final dish. Separate the gem lettuce into leaves as we will use these as cups. 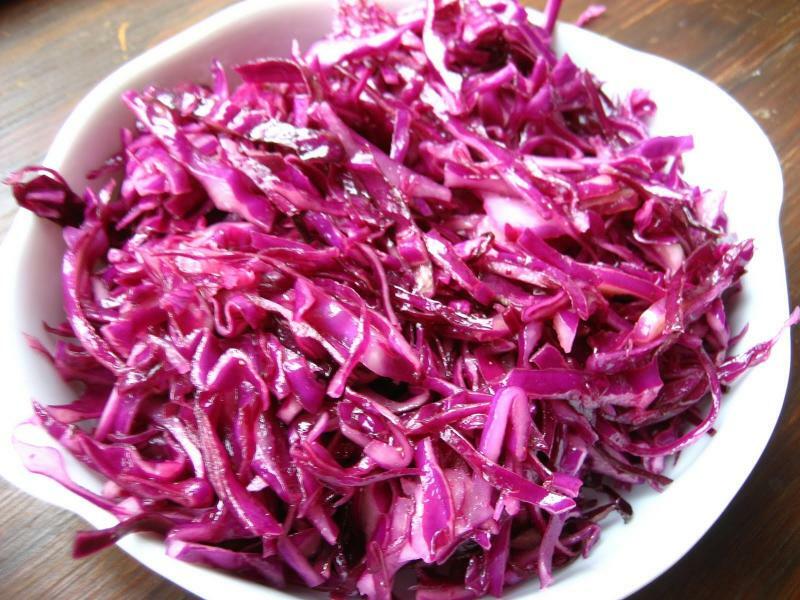 Arrange on a plate and fill with the slaw. Add the dressing and sprinkle with the remaining coriander.